In this article, we aim to cover some Signs of Diabetes in Men. 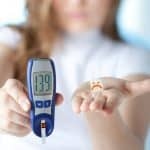 Diabetes is a very common disease; however, it has to be noted that even though it is very common, it is not something that is not to be taken lightly. (1) Diabetes can be extremely dangerous for the patients. 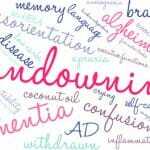 The disease slowly takes to toll on the body, which is why it is extremely important to diagnose it as soon as possible and start treatment. Diabetes is often called a silent killer because its initial symptoms are not very severe and it is very easy to miss them. For men, some of the early signs are not recognized, which is why they can go undiagnosed for years, which is something that can cause a lot of complications. This is why it is very important people to be able to recognize the early signs of diabetes in men so that they are able to diagnose the illness promptly and start proper treatment. One of the things to note about diabetes is that certain people tend to be at a higher risk for the illness. (2) This includes people who are overweight or obese. Other than that, people who live a sedentary lifestyle, such as working in the office all the time without moving too much, are also at a higher risk of getting diabetes. Diabetes runs in the family, which means that if a person’s parents, grandparents, uncles, and aunts, etc. have or had diabetes; it means that the person would also be much more susceptible to the illness. This is why it is important for such people to look for early signs of diabetes. The thing to note is that early signs of diabetes in men are the same as the signs in women and children. However, these signs can be extremely vague, which means that they tend to go unnoticed and many people are not able to find any explanations for them. This is why if a person is overweight and is over the age of 45, it is important to get tested and to also check if any signs of diabetes can be found. 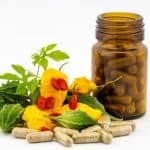 (3) Some of the early signs of diabetes in men include: feeling thirsty all the time; having to urinate more frequently; increased appetite; weight loss that cannot be explained; fatigue; and slow healing of wounds, or some wounds that cannot be healed. 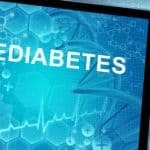 Some research has revealed some interesting connections between diabetes and low testosterone. In this regard, men who have diabetes tend to show low testosterone levels and vice versa as well, that is, men who have low testosterone tend to be much more likely to get diabetes. At the same time, those that have low testosterone levels are also much more likely to be obese. (4) This is how obesity, diabetes, and testosterone levels are interlinked. If a person has frequent episodes of diarrhea that keep returning time after time, it can be depicted that that person has diabetes. 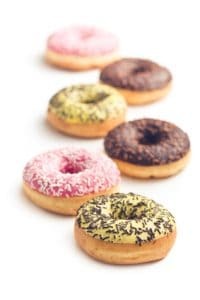 This is because research has shown a link with regards to poor glycemic control – which is what happens when the diabetes is not properly addressed – and diarrhea. (8) This is why it is extremely important for diabetics to control their diet because otherwise the diabetes can lead to several other problems as well, such as several types of gastrointestinal complications. (5) If the diabetes is not controlled in the early stages, it can cause many chronic problems. As noted earlier, one of the signs of diabetes in men is diarrhea and other gastrointestinal problems. (9) It has to be noted that irritable bowel syndrome (IBS), hyperglycemia, and diagnosed diabetic neuropathy can all point towards a person having diabetes. 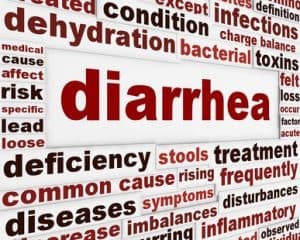 If a person has chronic diarrhea that does not go away or some other signs and symptoms associated with diabetes along with the diarrhea symptoms, it would be important for the person to get himself checked for diabetes. If diabetes is not properly controlled, it can lead to many complications and problems, including problems with a person’s feet. Another type of early signs of diabetes in men is if a person has problems with regards to his feet. This occurs when there is neuropathy that is occurring in the body. When a person is affected by neuropathy, the cir culation in the limbs and extremities in the body tend to be affected, as is the nervous system. 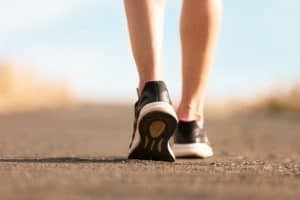 If the foot problems are not properly and quickly taken care of, the diabetic person can end up getting the foot infected and in some severe cases, even amputated. (6) This is because the infection in such extremities can be extremely difficult to treat because of poor circulation of the blood. This is another very important reason for recognizing the early signs of diabetes in men. It has been noted that diabetics tend to have a different and unique breath odor as well as urine smell. This is because diabetes affects the breakdown of sugar in the body, which is why several additional chemicals are produced. These manifest themselves as signs and symptoms through odors, as the breath odor changes, as does the smell of the urine. 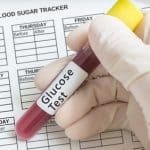 These are also early signs of diabetes in men, which is why a person should immediately get himself tested for diabetes if any of these signs and symptoms are present.